Visualize 2030 is a collective effort and a part of the burgeoning “data for good” movement, bringing the public and private sectors together to apply modern technology to the world’s greatest challenges. While the World Economic Forum at Davos recently engaged political, business and other leaders to shape global, regional and industry agendas, it also served as a world stage for announcing the winners of a Google Cloud data storytelling contest. Visualize 2030, with its five prizes of about $13,000, saw 1,000 global entries. When the winners were revealed, among the top five were two DeGroote School of Business Bachelor of Commerce students. Sarah Liou and Evan Snary, both currently interning at ClickInsight, which works with organizations to strategically use data about how people interact with websites and apps to improve marketing operations and drive business growth, heard about the contest through Snary’s manager. A collaboration between the World Bank, the United Nations Foundation and the Global Partnership for Sustainable Development Data, Google Cloud’s Visualize 2030 presented students with a “2030 Agenda” of 17 Sustainable Development Goals (SDGs) that define a plan of action for people, planet and prosperity. The goals sought to meaningfully transform three critical areas: ending poverty, helping society and preserving the environment. The challenge was to visualize and create a data-driven story — using Google Data Studio, a free service for analysis, visualization and reporting — that showed how at least two SDGs influence each other and what actions might be taken to reach those goals by 2030. Liou’s internship responsibilities, meanwhile, revolve around marketing. While she doesn’t use Data Studio as regularly as Snary, Liou says wanting to learn more about the tool and challenge herself encouraged her to enter the contest. Liou’s two SDGs were Climate Action, Clean Water and Sanitation, Zero Hunger, and Life on Land. While she had started off exploring the relationship between greenhouse gas emissions and livestock production, she was surprised to discover the negative impacts agriculture has on freshwater supplies and land availability. Snary, on the other hand, focused on the inverse relationship between Ending Poverty and Climate Action. 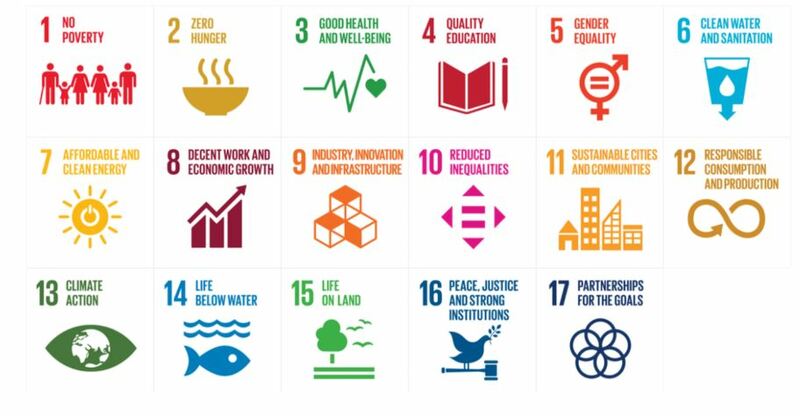 He discovered that to accomplish these SDGs, it’s essential to find a solution that ensures emission stability in rapidly growing nations, while encouraging their continued economic growth. The contest required contestants to work on their submissions completely independently. June Li, Founder and Managing Director of ClickInsight, says the company’s contribution was in helping to develop the skills Snary and Liou needed to succeed. Both Snary and Liou agree that their DeGroote education and internship experience played a role in their winning submissions. Snary says the systematic approach to problem solving he learned throughout his courses and internship was crucial. Liou, meanwhile, points to a helpful statistics class during which she was taught to understand the connections between graphs and numbers. A seven-judge panel reviewed contest submissions. It included Rajesh Mirchandani, chief communications officer at the United Nations Foundation; Haishan Fu, director of the World Bank’s Development Data Group; and Richard Curtis, writer, director and co-founder of Red Nose Day and UN SDGs advocate. In addition to leveraging their expertise, judges assessed submissions based on key criteria that spanned a data-first approach, a developed narrative arc, an interactive experience, a unique look and feel, and accessible insights.